THE MOTHER OF ALL SPOILER WARNINGS! The tenth episode of STAR TREK: DISCOVERY‘s second season was called “The Red Angel.” I call it the “Oh, By The Way…” episode. In my opinion, it was the weakest of the second season so far, and not even as good as some of the first season episodes. 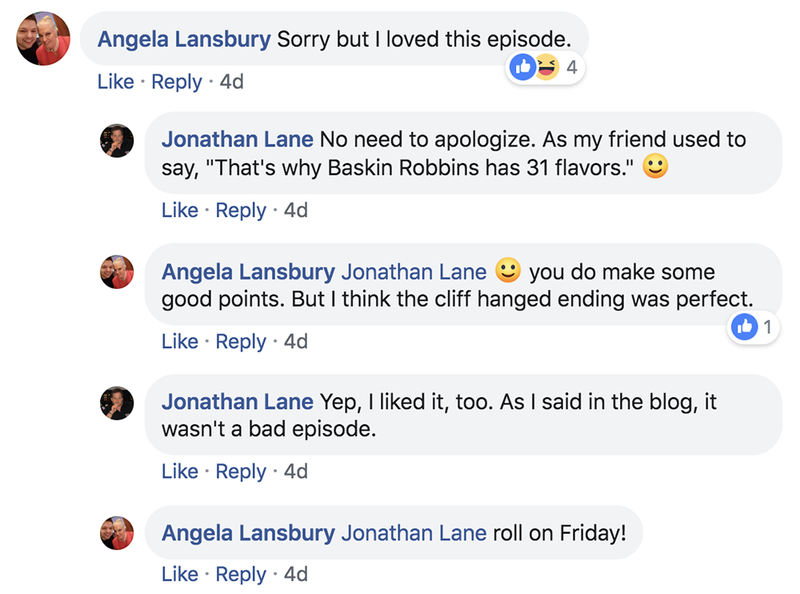 Even the positive reviews I’ve read so far have acknowledged that this was a “talky” episode, filled with a lot of quiet scenes where two or three or four people were just chatting with each other—mainly about plot exposition. The first 37 minutes were almost entirely that, with only the final 10 minutes picking up the pace with an exciting and engaging ending. So what is an “Oh, By The Way…” episode? Glad you asked! SPOILERS WITH A CAPITAL “A”! 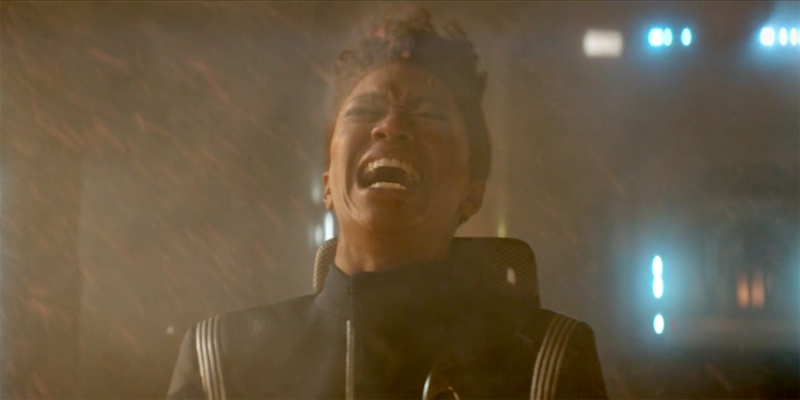 Remember last week when I said the eighth episode of STAR TREK: DISCOVERY season two was the best one yet? Well, the ninth episode, “Project Daedalus” just blew the eighth one away! I mean…WOW! 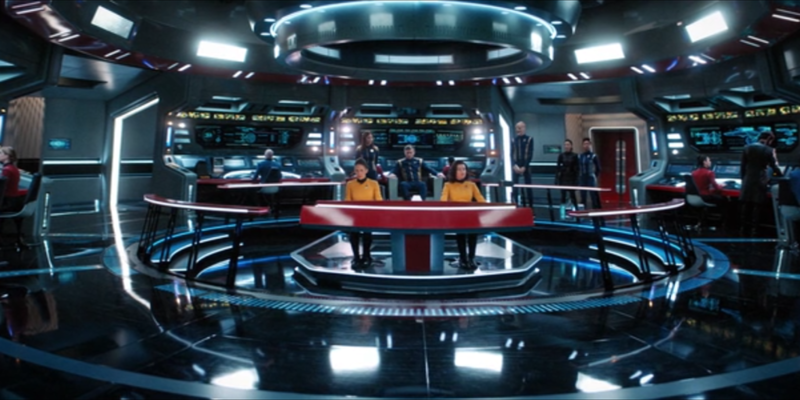 After the announcement last June of the firing of Discovery‘s previous showrunners, GRETCHEN BERG and AARON HARBERTS, fans were nervously awaiting the sixth episode of season two, the first to be produced entirely under the stewardship of new showrunner ALEX KURTZMAN, who was also officially named the Tsar of Trek (actually, only I named him that). Would Kurtzman save Discovery or ruin it? 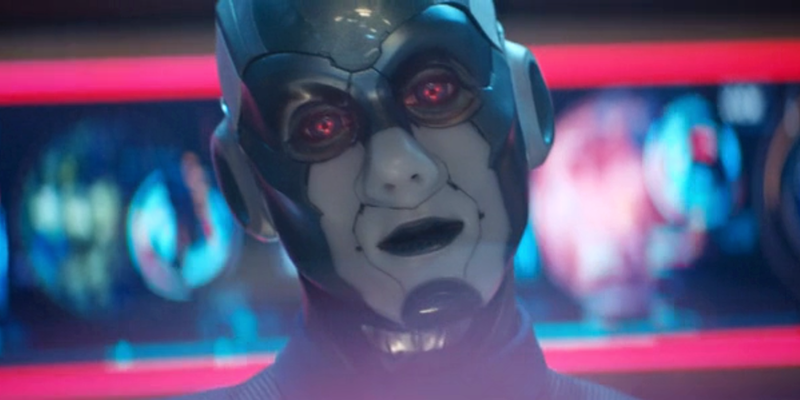 And once the sixth episode (which took Saru back to his home planet) showed a return to Star Trek values of hope and optimism, the next question became: was this one episode just a fluke, or is this the new normal for Discovery? Well, it wasn’t the new Discovery normal; it was the starting point of a turbolift that has been ascending ever higher with each successive episode—with a trip home to Vulcan for Burnham (where she finds Spock), a trip to Talos IV (where we find Vina, and Spock finds himself), and now a trip to the very heart of Section 31 where we find…um, I did mention there would be spoilers, right? Anyway, for a third week in a row, I watched the episode all the way through without stopping. I couldn’t look away! And with four episodes in a row that have each been, in succession, the best of the series, I feel that I can finally feel confidence in Alex Kurtzman. YAY! Of course, a show-runner doesn’t work alone. But he does determine which people to hire and who does what. This episode was written by MICHELLE PARADISE (yes, she was born with that name) and directed by JONATHAN FRAKES. 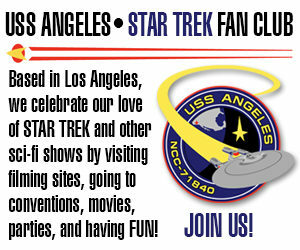 I don’t need to tell you about Frakes, as he’s done a little work in Hollywood before. But Paradise was just named as co-showrunner for Discovery in season three…and fans were again worried that this newcomer Paradise not be up for making Star Trek. Well, after this episode, as with Kurtzman—I’m not really worried anymore! HOLY $#@*! When did CBS suddenly learn to make STAR TREK??? SPOILERS? HOW COULD THERE NOT BE SPOILERS? I wasn’t gonna blog about this week’s episode. I really wasn’t. We were at Disneyland all day Friday and Saturday, and that’s usually my prime reviewing time. But OMF-ingG! What did I just watch???? It was STAR TREK. REAL Star Trek. The kind of Star Trek that gets me all excited and emotionally engaged and dying to see more. It was the kind of Star Trek that has me caring about the characters and not giving a crap that the uniforms are all shiny or the Tellarites now have tusks or the lens flares are multiplying like tribbles. Who cares??? This was a friggin’ STAR TREK! If you hate Discovery or refuse to watch it or you stopped watching it in (or after)season one…I totally get and respect that. I spent nearly the entire first season kvetching, feeling angry and frustrated and even a little betrayed as a fan over CBS “ruining” this thing that I’d loved for the entire five decades of my life. And honestly, I went into season two doubting that they could pull the rabbit out of their butts and fix things. Some “true believers” made the argument that TNG and DS9 weren’t exactly firing on all thrusters in their first seasons either, and they all got a lot better. But in my mind, Discovery was so far down into the hole that I didn’t think they would ever make it back into the light. 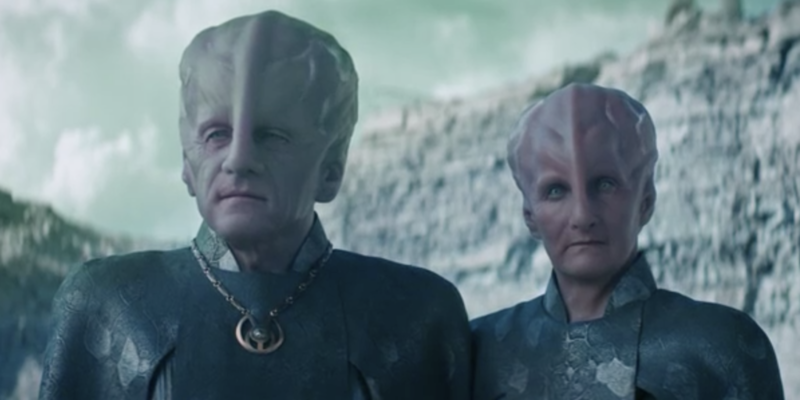 So if you’re wondering if Jonathan has been brainwashed by the CBS Talosians and tricked into typing a blog that raves about the eight episode of Discovery‘s second season, I invite you to check it out for yourself—just this one episode “If Memory Serves”—and see if you feel as surprised (and impressed!) as I do. This was the kind of episode that I used to watch back in college…where it ended and I just wanted to TALK about it with other fans! And that’s why I’m writing this even though the episode aired three nights ago. 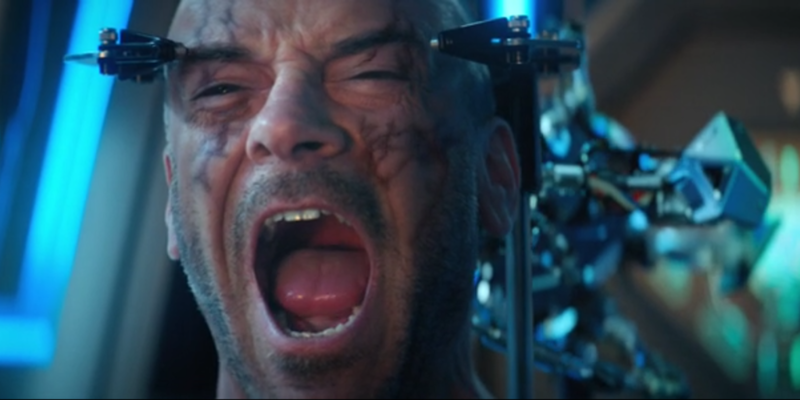 Author Jonathan LanePosted on March 10, 2019 March 21, 2019 Categories Editorials, ST: Discovery ReviewsTags All Access, CBS, Star Trek Discovery26 Comments on HOLY $#@*! When did CBS suddenly learn to make STAR TREK?? ?